Looking for a San Diego Dog Beach? 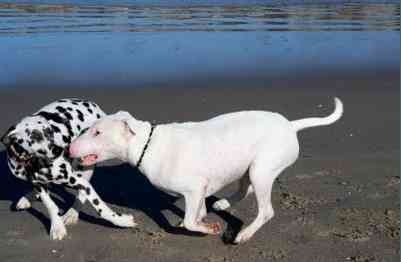 You can’t go wrong with San Diego’s most famous dog beach - Ocean Beach Dog Beach, the original California dog beach. Ocean Beach, San Diego, is a dog-friendly paradise with dogs romping all around the large, sandy beach. 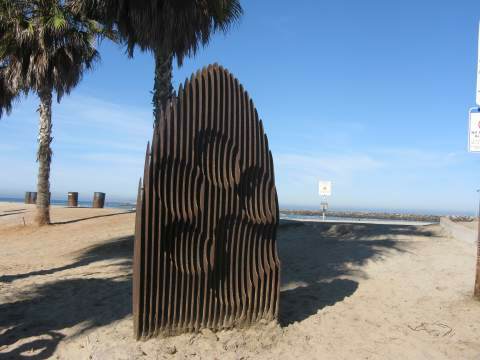 This popular dog beach is centrally located in San Diego and is open 24 hours a day for unleashed dogs. The crowds are friendly on this wide beach, with lots of room for dogs to mingle. You will also see bicyclists along the bike path, and surfers heading out to their favorite surf spots. This Ocean Beach dog friendly beach is centrally located in San Diego's Ocean Beach community, a relaxed and fun area with nearby surf shops, restaurants, and pier. A short walk away you will find Ocean Beach San Diego and the Ocean Beach pier. Don't be afraid to let your dog get wet and dirty, because nearby is the Ocean Beach world-famous Ocean Beach Dog Wash, a self-service dog wash open 7 AM - 9 PM. Located at 7733 Voltaire St. just two blocks away from Ocean Beach Dog Beach. 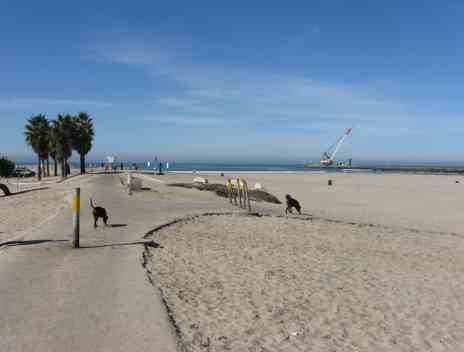 Ocean Beach Dog Beach Directions: From Interstate 5 take the Sea World Drive exit 21, toward Tecolote Road. Turn right on Sea World Drive, which becomes Sunset Cliffs Blvd. Turn right on Voltaire Street. There is a large free public parking lot. Or take Hwy 8 West until it ends and then it becomes Sunset Cliffs Blvd. Then make a right turn onto Point Loma Blvd and follow the signs to Ocean Beach Dog Beach in San Diego. If you want to check out other dog beaches in the San Diego area, including Coronado, Del Mar, and Cardiff, see dog beach San Diego.